Small businesses have an opportunity to use a largely untapped, inexpensive tool that differentiates them from the competition, informs customers and offers point of sales promotions. StrandVision Digital Signage seamlessly includes 38 licensed financial institution marketing videos into its digital signage content management system. 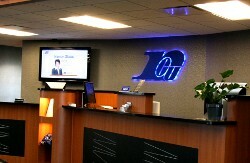 The new partnership with ClickVue.com makes it easy for StrandVision customers to show financial videos as often as they like in their lobby and drive up lanes. 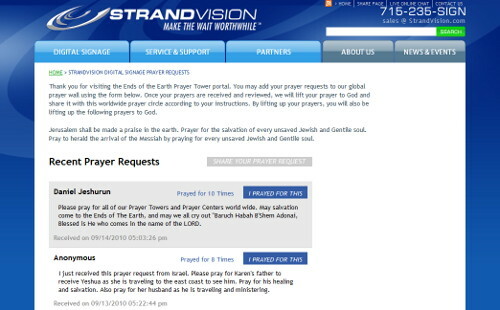 Prayer.StrandVision.Com allows every person to have access to thousands who will pray for them. 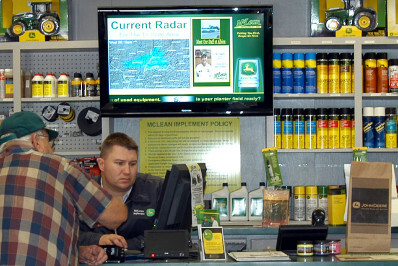 StrandVision Digital Signage customers can now optionally show moderated prayer requests on their digital signage screens. 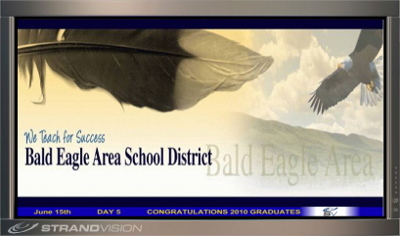 The Bald Eagle Area School District (BEASD), uses StrandVision Digital Signage for middle-high school student marketing and parent communication. BEASD meets multiple challenges with a school communication network that is easily updated every day. StrandVision Helps McLean Implement Make the Wait Worthwhile"
StrandVision introduces an optional pre-configured, point-of-display (POD) Linux digital signage player for use with its digital signage software system. The compact, pre-configured appliance can be mounted at or behind a flat screen digital signage display to ease deployment and administration. StrandVision announced the Summer of Digital Signage Giveaway program under which it is offering a free subscription for one year to its Internet-based digital signage by completing a test drive of the system. They can be up and running in just a few minutes using their existing computer and Internet connection. The patent covers displayed content of digital signage at distant locations that is at least partially controlled by a processor and database at a central location. The processing system collects, samples and evaluates general information to determine what specific information should be displayed on local signage. The StrandVision Digital Signage system enables Royal Credit Union to leverage its advertising and marketing communications investments and bring timely promotions directly to members in their lobbies and at their drive-up teller lanes. StrandVision Digital Signage introduces a hardware/software On-premise Distribution Server to complement its Software as a Service (SaaS) digital signage delivery model. StrandVision Digital Signage is now offering Proof of Playback for all customers, ensuring the correct Digital Signage is on your Digital Signage Network.